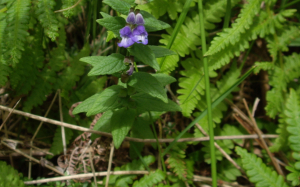 It has a single square stem about 15 inch tall with pairs of pointed leaves at intervals. The leaves are opposite, directly attached to stem. It is growing by a lochan in marshy ground.